Wakeable was a crowdfunded side project that I completed with a few friends. It prevents the user from snoozing by forcing the them to get out of bed to turn off the alarm by pressing a remote button which is Bluetooth connected to the native Wakeable app. This project was a combination of me wanting to build my own alarm clock and to use some new electrical engineering skills that I had been studying. I found two willing comrades that also wanted to work on their app development and UX design skills, respectively. After raising a modest amount on Indiegogo, we spent a year, designing and building the products. 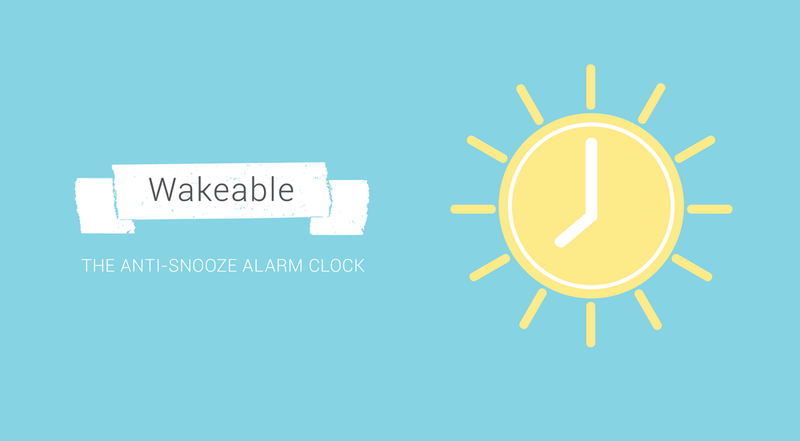 We built over 20 alarm clocks by hand and pushed an iOS and Android app. We made the active decision to keep this project small and turned down large production runs multiple times. For us, we were all happy to allow this be a small part of our professional lives. It helped that we all were friends and so meetings felt more like an opportunity to talk more – we were spread out across the country. I use my Wakeable everyday to wake up and I love it.